I took my PPS to the range earlier this week. I work about 3 miles from a Shoot Straight. As my carry choice, I like to keep the skill up. Shorter barrel is shorter, skinny and what not that I generally don't shoot/prefer. That was like 38 rounds not too fast, but not slow. Lets call it casually fast. Anything outside the 9 ring was due to the 44mag being shot in the stall next to me. And I have probably ran 100 Hornady critical defense through it without a burp. I also am very very comfortable with the lower trigger guard mag release, being an HK fanboy. Nice shooting. Good to hear it preforms perfectly with your carry ammo. I'm glad I'm not the only one having range ammo issues. I have some Freedom ammo that is a little out spec and keeps hanging up on occasion. About every 15th round is out of spec just a little. I had quite a bit of Freedom Munitions that had poorly seated primers. Let's just say that I got pretty good at clearing malfunctions during matches. After the 4th FTE and I realized it was the ammo, doing clear drills is exactly what I did. Rack/tap was not the solution. Had to drop mag and re-insert, thus my "like the trigger guard release" comment! 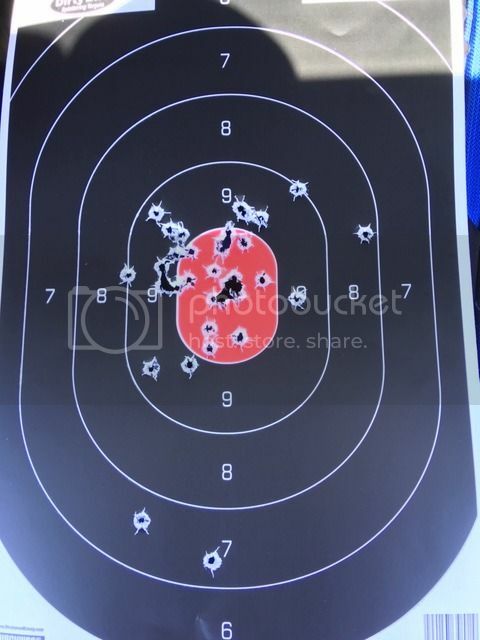 (03-30-2019, 01:50 PM)bmyers Wrote: Nice shooting. Thank you but I am not happy with that at all! However - it would have been pretty effective, so I'll take it. PPS is a nice single-stack 9mm. Quality CCW carry choice Bob. (03-30-2019, 08:52 PM)David Wrote: PPS is a nice single-stack 9mm. Quality CCW carry choice Bob. Remember - I spent a whole $250 on it too! I had the gun and my passport in the car - I felt like James Bond.